Explore the News below to see how OrangeHRM continues to be the leader in Human Resources Software and HR Systems. We have been covered in the following publications & media outlets. Foundation Global Education partners with OrangeHRMEducation Consulting organization, Foundation Global Education has chosen OrangeHRM’s solution to help manage their HR processes and people. Based in Hong Kong, they offer comprehensive education services for students pursuing elite overseas education. OrangeHRM are excited to welcome Foundation Global Education to their family! BioPharma Engineering, based in the UK, Ireland and France is a leading supplier of equipment to pharmaceutical, biotech and process industries. They have selected OrangeHRM’ s solution to manage their HR processes. Purogenix Limited based in the UK has partnered with OrangeHRM to provide their HR Management Solution. Purogenix Limited is based in the UK, and is a manufacturer of pharmaceutical products. Welcome to the family! OrangeHRM are delighted to announce, US based Security services Pierce County Security Inc has chosen OrangeHRM for their HR Management solution. Pierce County Security Inc provide a total security solution through a monitoring service. Welcome to the family! Avvio provide intuitive and user-friendly reservation technology to enhance the booking path hotel customers. OrangeHRM are excited to welcome Avvio to their ever growing client base to help manage their people and talent. OrangeHRM has partnered with the American University of Antigua College of Medicine to deliver HR excellence in the Education sector. 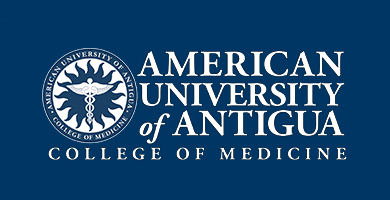 The American University of Antigua College of Medicines are dedicated to creating future generations of physicians that serve the communities they represent. OrangeHRM are delighted to welcome Orange Burkina Faso S.A to its extensive customer base within the Telecommunications industry. 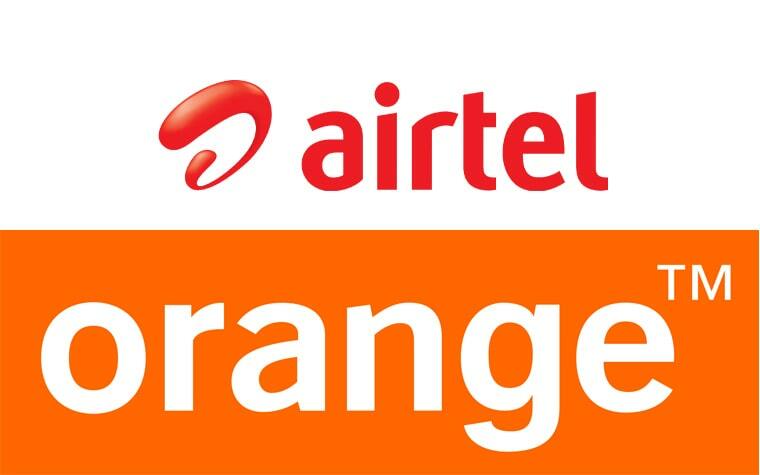 Orange Burkina Faso S.A is a leading global telecommunications company with operations in 20 countries across Asia and Africa. Prefixa Vision Systems selects OrangeHRM as their HR Solution provider. We are pleased to announce, Prefixa Vision Systems has chosen OrangeHRM to provide them with their HR software to manage their people and HR processes. Prefixa Vision Systems are an engineering and software development company for 3D data visualization for Web, Mobile and Desktop platforms. (October 12, 2016) - In need of an HRM solution that won't set you back hours of installation and setup time? The TurnKey Linux OrangeHRM virtual appliance might be the right tool for you. (September 30, 2016) - Launched in 2005, OrangeHRM is the most popular open source human resource management (HRM) software in the world. (September 09, 2016) - Part of HR’s job is to meet and communicate with employees and job seekers on a daily basis. But with employees giving weird excuses for being late to work, behaving strangely on business trips, and job seekers doing questionable things to get noticed, how much more can an HR executive handle? OrangeHRM Pokémon Go is changing the world we live in. It's on pace to be the most popular game and app of all time. There have been many stories this month of people getting fired, falling off cliffs, getting into car accidents, arrested, or robbed because of Pokémon Go. Within all this madness, there..
Before you start your journey in Pokémon Go, you must first capture your starter Pokémon – Bulbasaur, Squirtle, or Charmander. But, if like most people, you want a rare Pokémon like Pikachu at the start of the game, don't immediately choose one of the three basic starter Pokémon or you'll probably regret it when you learn that if you run away from the basic starter Pokémon, Pikachu will appear. Good luck finding a Pikachu later on, they are rare. A series of skill plays or a great shot attempt will often get the fans' applause, even if the team didn't score, because it shows that the players are making the right decisions and it will eventually lead to a goal. For example, when a marketing executive writes a good article that doesn't get the publicity that the organisation was hoping for, simply letting them know they did a great job can go a long way in improving that employee's morale. (January 13, 2015) - Prior to recent developments, differentiating each type of HR solution was much more important. Vendors were hyper-focused on developing products to meet very specific needs, laying the groundwork for optimizing HR's multiple responsibilities. Solutions categorized as HRIS or HRMS were very different from what they are now. (February 03, 2015) - Wer administrative Tätigkeiten in der Personalwirtschaft effizient erledigt, der hat mehr Zeit für strategisch wichtigere Aufgaben. Abhilfe versprechen dabei moderne und schlanke SaaS-Dienste für E-Recruiting, Personal-Controlling und Talent-Management. (July 31, 2014)-The emergence of the information era has brought in new capabilities to ascertain an employee's competitiveness. Access to Human Resource Management software (HRM) can make a big difference to any organization in tracking the entire life cycle of employees. (April 22, 2014)-As you may know, the heartbleed vulnerability has been a major concern during the past week. We are pleased to inform you that we and our service providers were secured from this attack at all times and were never vulnerable due to security measures of our own on top of SSL. (September 05th, 2011)-OrangeHRM is a really powerful tool that offers rich functionality, but also a broad variety of settings and customization. Its main strengths are a sophisticated staff directory, excellent timesheets functionality, well implemented recruiting, a variety of useful ready to use reports, and what is more, monitoring of performance with KPIs. (September 007th,2011)-When deciding between TribeHR and OrangeHRM Live one has to take greatly in account the size of the organization. OrangeHRM Live offers great functional package with focus on customization, which can find its best use in larger organizations. On the other hand, TribeHR will work best for smaller organizations that won't find a use for its more advanced features (and it looks good, too!). (August 15th , 2011)-The open source industry will soon reach another milestone when Linux celebrates its 20th anniversary on Aug. 25. Advocates identify five misconceptions surrounding the technology and discuss how these have since been proven false with the emergence of a viable business model. (April 11th, 2011)- Since the free software was originally created by hackers for hackers, it's no wonder that the first programs they created were tools - things like Emacs - and something to run them on - GNU/Linux. The second generation applications were key infrastructural elements - Web servers, databases etc., while more recently, we've seen the rise of applications like enterprise content management and CRM, as open source moves closer to the end users. (February 07th, 2011)- OrangeHRM, an "open source" HRMS has been available free for years for smaller companies. Now it faces the challenge of adapting to SaaS -- an issue never imagined when the open source movement started years ago. The two brothers/owners are making the transition while trying to stay true to their roots. (January 15th , 2011)- Sometimes we think we can only work with operating system giant. One option for companies when choosing an operating system for teams has always been Linux. There are companies devoted to Linux distributions highly recommended and just practices that other operating systems. (December 23rd, 2010)- ZDNet Asia spoke to open source vendors and developers for their recommendations of open source enterprise software available in the market today, which they say can improve business processes including workflow and content management. (September 8th , 2010)- OrangeHRM, the open source human resource management (HRM) software company, wants to join the million-dollar revenue club by 2011. To attain that goal, its CEO revealed that the company is focusing on delivering quality service and investing in mobile technologies. (April 14th , 2010)- OrangeHRM, Inc., a leader in the development of open-source human resources management (HRM) software, is pleased to announce that it has received Series A investment capital from principal investors Larry Stefonic and David Axmark to finance the sales, marketing and development of OrangeHRM, the company's flagship product. (January 9rd, 2010)- During our experiment using fingerprint device X100, we need to read the time attendance log data. The device has the option to download the time attendance data to USB flash disk. (December 23rd , 2009)- If you're a user of business software, chances are there's an open-source alternative to the expensive licenses pitched by big vendors like Microsoft (MSFT), Oracle (ORCL) and SAP (SAP). But don't expect sales people to come knocking. You'll need to do your own legwork to find the right stuff. (November 23rd , 2009)- HR software is becoming an indispensable and ever more sophisticated tool for the profession. From the evolution of Software as a Service to clever e-learning tools and mobile technology, Helen Williams asks a wide selection of HR software providers and experts what they think HR will demand from software applications in 2010. (April 21st, 2009)- Every software list needs at least one open-source application. First released in 2005, OrangeHRM is a flexible HR package that is available both as a hosted service and as an in-house solution. The software takes a modular approach typically seen in more expensive, enterprise packages: HR functions are broken out into pieces, allowing your business to pick and choose which features it needs. (February 12th, 2009) - While Oracle and SAP deal with multi-million-dollar projects at large enterprises, an opportunity with SMBs opens up for open source. (November 16th , 2008) - Today, we are listing another collection of open-source applications that you probably want to know to use in your daily life or did not know before. You may not find them between the top of the list projects and many of projects are not listed here but over all the list has variety of projects for every one to run their business process in a much cost effective way. This is the list of 11 Useful Open-Source Apps You Should Know About. (October 10th, 2008) - Can open source software make us more productive? Some people seem to think so. In this piece, we will examine a list of ten applications from the open universe that allow their users to find a more productive place in their lives. (July 1st , 2007) - Finding the right HR technology solution for your company's size and business needs is an important decision that can greatly enhance its success in human capital management. (June 20th, 2007) - Need a new app? Looking for inspiration? Want to know what the next trend might be? Welcome to the world of open source software where high-quality tools are free to try and free to keep - and where you can quickly see what everyone else is checking out and join in on the buzz. Open source's hottest 10 apps. June 12th, 2007 - After infiltrating corporate operating systems and middleware products, open source software has in recent years moved into enterprise applications with great success. San Francisco, CA (April 17th, 2007) - OrangeHRM Inc. today announced the availability of OrangeHRM On-Demand, a hosted version of its OrangeHRM open source human resources management solution for small and mid-sized enterprises. The company has also released a new Version 2.1 that upgrades the system's Leave Management module and a variety of other functions. (April 11th, 2007) - There are a number of open source software applications that cover enterprise resource planning, customer relationship management and payroll, but there is a strange dearth of unified open source human resources software solutions, which some say is symbolic of the general lack of industry-specific and vertical open source software. (March 7th, 2007) - OrangeHRM says it's the world's first open source human resources management system. (January 22nd, 2007) - At least that's the vision of OrangeHRM, a startup firm that began offering an open-source version of human resources management software this year. (December 6th, 2006) - OrangeHRM is an Open Source HR information system that keeps employee-related information in a centralized, online database. You can generate literally any kind of report by applying vivid search criteria.